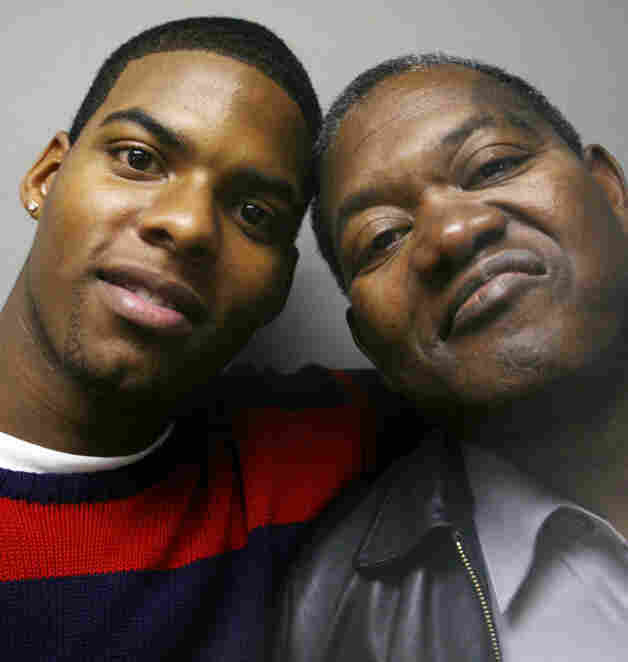 A Second Chance For A Father And Foster Son As a young father, Horace Atwater Jr. grappled with a drug addiction. I "lost everything," he says, including his wife and two sons. Years later, he took in Adrian, who at 14 had already experienced plenty of his own hard times. Adrian Hawkins (left) with his foster father, Horace Atwater Jr., at a visit to StoryCorps in Atlanta. Horace took in Adrian when he was 14 years old. In 2004, Horace Atwater Jr. took in Adrian Hawkins as a foster child. Adrian was a teenager at the time, "this little, skinny kid, about 14," Horace recalls. "You didn't really have any clothes. You had mismatched socks." Adrian had lived a difficult life as a child. He lived in several group and foster homes before moving in with Horace. 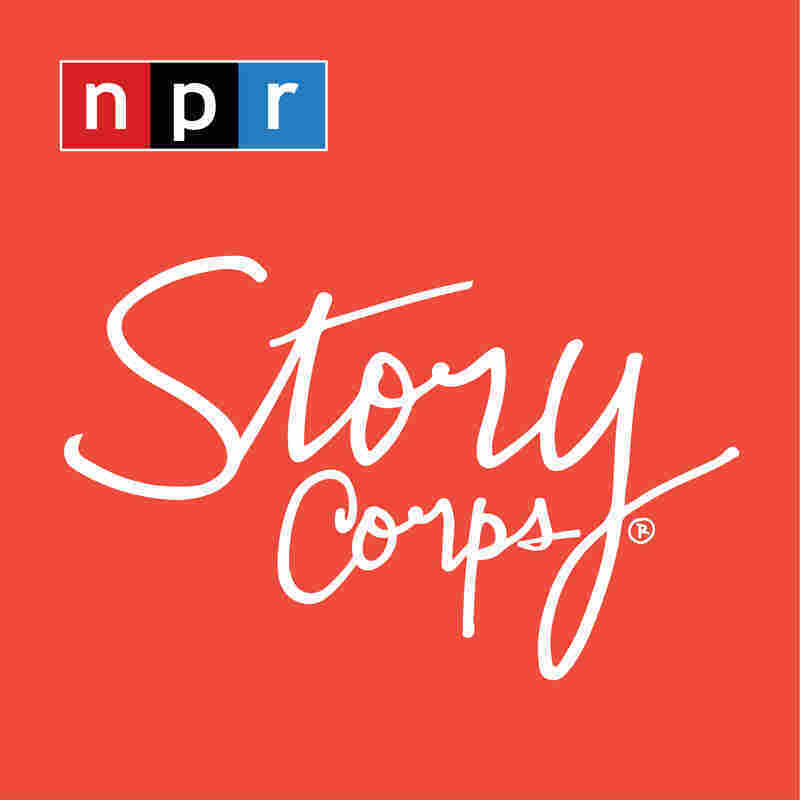 "I remember times being hungry, seeing drugs and all kinds of stuff," Adrian tells Horace at StoryCorps in Atlanta. "I mean, some things had to happen for me to be in foster care." When Adrian asks why Horace, now 61, would "care so much for a stranger," it's clear that Adrian didn't just find a home with Horace; the two found a home in each other. As Adrian describes it, Horace "had it good one time," but then his life took a turn. "I had a personal experience where I lost everything — a wife, two fine sons — because of drug addiction and anger," Horace explains. "I didn't experience my own sons growing up. I would only see them on visitation periods, but when my wife remarried, she married a man that embraced my sons as though they were his own. "He has been an excellent father to them," Horace continues. "And I am so grateful that he embraced them the way he did. I'm also grateful for the opportunity that I had to embrace you. So, that's the least that I owe — the least I could do," Horace says. His foster dad may have made mistakes in his past, Adrian says, "but you're the most influential person in my life," he tells him. "I'm just glad that I met you." Horace is proud of how well his one-time foster son is doing today. Adrian, now 22, hopes to become a pharmacist. "You know, it makes me look like I'm smart, but you're the one who's smart," Horace laughs. "God, for you to become the man that you are I am so proud of that."